So its that time again, time to unveil my August Book Box Club Subscription Box and I'm very excited. This months theme was Tech Tribes. Which as anyone who knows me knows this is perfect for me as I am a huge techie. So without further ado, this is what I got this month. 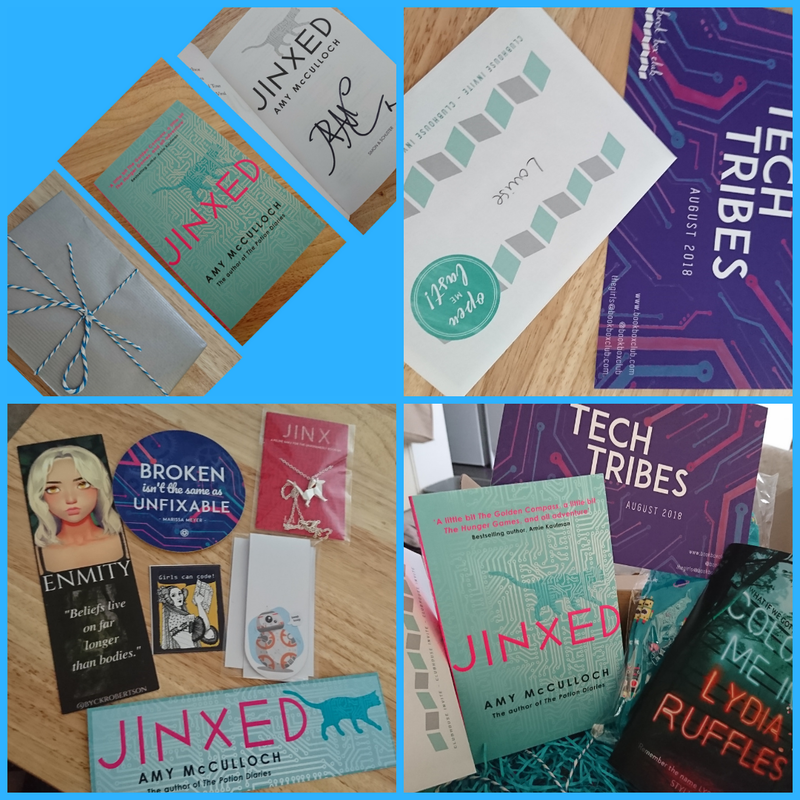 A signed copy of Jinxed by Amy McCulloch which looks amazing. My amazing clubhouse invite to go and meet and chat with Amy McCulloch herself on October 10th. Very excited about this. A Luna Chronicles coaster which has centre stage on my desk along with my mug. An ADA Lovelace sticker, dedicated to the original girl coder. This is now on my laptop case. 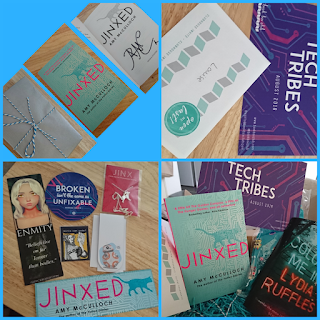 The box also contained several bookmarks and art cards. Overall a very exciting and wonderful box. Cannot wait for the next one. 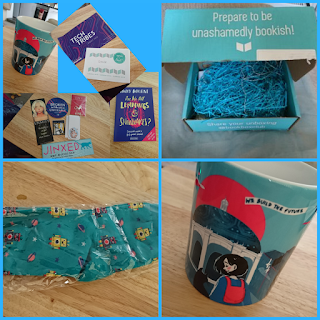 Once again if you're interested in getting your hands on your own Book Box Club Box head on over to Here to sign on up!